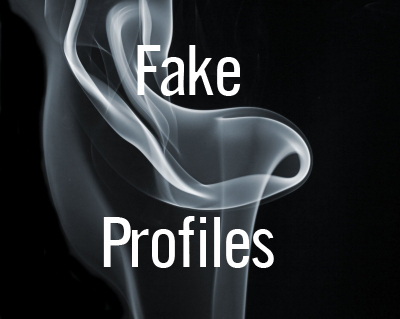 On social media, there are lots of fake profiles on various platforms. These profiles are used for a number of purposes. Sometimes this is done to create impression of a social media page or a blog having high popularity. Sometimes, it is done to create comments and LIKES to show that the page does have active participation from members. Sometimes, it is done to post spam links. For many such purposes, innumerable fake profiles are created on different platforms of social media and they spread all over cyberspace. Thus, in this series of “Faking the fakes” we are going to explore various aspects of the fakers in virtual world. What exactly is a fake profile? A profile where a person claims to be something that he/she is not. These fake profiles might include inappropriate images taken on a camera phone and uploaded to the website. Usually, fake profiles are set up as a bit of fun and the imposter does not consider the consequences. However, some fake profiles are created to cause deliberate harm or to upset the other person, sometimes to tarnish somebody‘s image. How and why fake profiles contribute to the dark side of social networking? A new research has shed some light on the growing black market dealing in buying and selling fake social media followers and just what impact it will have on social media. This is being done to enhance advertising revenue. It is very easy to buy fake followers. A recent study by Barracuda Labs found 20 sellers of fake accounts on eBay alone. The research also found that 58 of the top 100 Google search results for “buy Twitter followers” sold fake followers. 40 percent of these fake followers were set up in past six months. On average, the cost is surprisingly reasonable. Spending around $18 guarantees you 1,000 followers. Not long ago, Facebook announced that 83 million of its accounts were fakes. And who can forget the surprise increase in the number of people following Mitt Romney on Twitter. What research about fake profiles say? How fake profiles encourage the fraud of unfairly boosting advertising revenue? 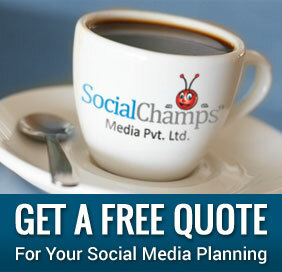 Boosting ad revenue by buying followers is among the most logical reasons for businesses to engage in the process. This is because advertising is often sold on the basis of the number of followers a company or profile has. However, there is also an opportunity for people who create and sell these profiles to earn money from selling tweets and re-tweets from these fake accounts. It appears that this is exactly what is happening. How to recognize fake profiles on social media? Some of the basic things to spot the “footprints” of fakers can be spotted on age of a profile. Majority of fake profiles are less than three months old with the average age of a fake account being 19 days. Additionally, the average abuser who buys followers has 48,885 followers while the average fake account is following 1,799 people. What to do when you come across a fake profile? If you come across a fake profile on a social networking website, you must ask the author to delete it, provided, you know who is responsible for it. Make sure they understand why the material is hurtful and why they should delete it. If you don‘t know who has set up the fake profile, you should report it to the social networking provider straight away. Social networking sites are keen to make their spaces as safe as possible, so fake profiles may breach the provider‘s terms of service and can be removed. In the next article in this series, we will discuss how to spot the fake profiles on Facebook.